The Saifee Burhani Upliftment Trust bought Hotel Raunaq Afroz, Shabnam Guest House and six rooms in Damarwala building. Three south Mumbai properties belonging to fugitive gangster Dawood Ibrahim, which are in a dilapidated condition, were auctioned for Rs 11.58 crore on Tuesday, according to an official involved in the exercise. The Saifee Burhani Upliftment Trust (SBUT) has bought all these properties for its redevelopment project. The properties-- Hotel Raunaq Afroz, also known as Delhi Zaika, Shabnam Guest House, and six rooms in Damarwala building--were put on the block by the ministry of finance, under the Smugglers and Foreign Exchange Manipulators (Forfeiture of Property) Act, also known as SAFEMA. "The properties were put on auction by the ministry of finance, under the Smugglers and Foreign Exchange Manipulators (Forfeiture of Property) Act and SBUT emerged as the highest bidder," Competent Authority of Mumbai SAFEMA P Selvaganesh told PTI. The SBUT's highest bid for Raunaq Afroz hotel was Rs 4.53 crore, for Shabnam Guest House Rs 3.52 crore and the six rooms in the Damarwala building Rs 3.53 crore. These properties were seized under the SAFEMA almost 15 years ago. "The properties are in a very dilapidated condition and are unsafe to live in. So it was necessary to complete the auction process as soon as possible to ensure safety of the tenants residing there," Selvaganesh said. One of the auctioned properties is located very close to the five-storey building in Bhendi Bazaar that collapsed in early September, killing 33 people. The SAFEMA, in consultation with district valuation officer of the Income Tax department, had fixed the reserve price at Rs 1.21 crore, Rs 1.55 crore, and Rs 1.18 crore for Shabnam Guest House, rooms in Damarwala Building and Hotel Raunaq Afroz, respectively. SBUT, a trust run by the Bohra community, which has been entrusted with the job of redeveloping a cluster of buildings in the Bhendi Bazar area, bid the highest at Rs 11.58 crore for the three properties in sealed tenders. The auction, which was conducted by the office of the Competent Authority and Administrator SAFEMA/ NDPSA, took place in three formats including e-auction, public auction and sealed tenders. 'The three properties fall under our ongoing Bhendi Bazar redevelopment project. These buildings are in dilapidated condition and unfit for living. Therefore to ensure the safety of the families living in these buildings and to carry on with the redevelopment project, we participated in the bidding and acquired these properties,' a SBUT spokesperson said in a statement. Asked about the procedure that will follow the auction, Selvaganesh said SBUT will now have to pay 25 per cent of the total bidding amount within 30 days and rest within a period of 90 days. 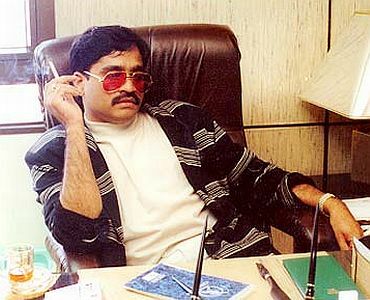 After Dawood Ibrahim fled India, properties belonging to him and his associates were seized under the provisions of SAFEMA. The authorities later decided to auction these properties in a phased manner. However, past auction of the gangster's properties, conducted in 2015, drew a cold response from bidders, apparently due to the fear factor. In the last bidding, former journalist Balakrishnan had won the bid for Hotel Raunak Afroz and deposited Rs 30 lakh. However, the bid was cancelled after he failed to deposit the remaining amount totalling about Rs 4 crore. According to sources close to the development, about 12 bidders took part in the process which started at 10 am and concluded at 12 noon.